April Cornell - Live Beautiful: So Happy Together! 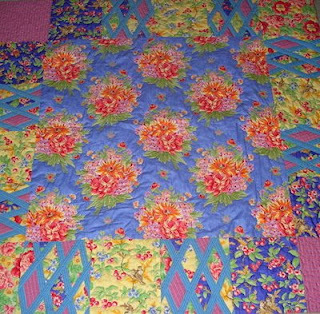 Quilts and fabrics have been a passion of mine for as long as I can remember. 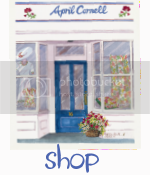 I learned how to sew as a young girl and have had a life long love affair with fabric. It’s my young girl’s dream come true that I get to design fabrics for quilters as a grown-up. Several years ago, Moda licensed my fabric designs for the quilt market, and I am in awe of the beautiful quilts I have seen so many creative people make using them. 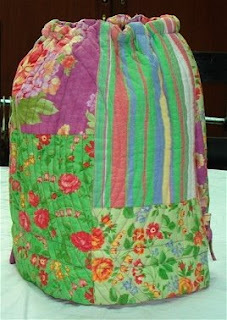 I am delighted with the quality of the Moda fabric, and they are happy with me because quilters like the designs. It’s so nice when you can be in a happy, creative partnership! I wish I had the time to quilt by hand, but I with the number of designs I have to develop each season, I have to be content to watch our wonderful sewing team bring my sketches to life. I will never tire of mixing, matching, and blending fabric colors and textures together into the newest bed quilt or quilted pillows, table covers, or clothing. Working with what I love is what keeps fueling my creative fires. I hope the quilters who work with our fabrics feel the same way about their work. I think we all share a love of tactile textiles. Here are some simple shots of a couple of my latest projects: a small bed quilt, a table mat, and a craft bag. 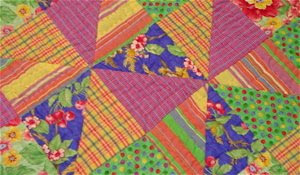 I invite you to explore some quilting websites that feature my designs and inspiration!